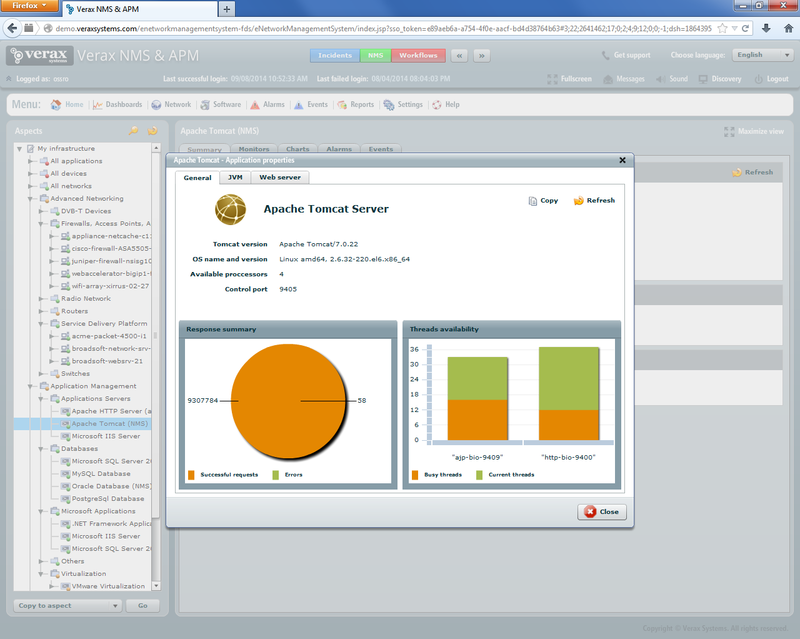 Verax NMS & APM Apache Tomcat management plugin enables easy monitoring, alerting, health check, management and performance reporting for Apache Tomcat servers (server version 4.x with Java version 1.5 or higher are supported). JMX is used as communications protocol. 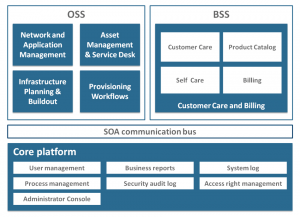 Operating system platform and version. JVM information (version, vendor, 32- or 64- bit). Average response times and control ports. Summary of busy and current threads per each Tomcat connector. The applications view provides detailed information about installed, running and suspended applications. Usage summary including current sessions, peak sessions, servlet performance, application status, invalid requests and other statistics is available for each running application. The view lists all configured connectors including information such as: TCP port, protocol used (e.g. HTTP), security status (secure or non-secure connection), redirect port and maximum size allowed for POST operation. The view also provides information about currently configured thread pools including information such as: number of threads that are currently busy, total threads created by the connector and maximum spare threads. This view provides detailed information about request processors configured in the Apache Tomcat application server including: URI, worker, total requests serviced, number of failed requests, bytes sent and received, maximum and total processing time and others. The plugin provides predefined templates for most commonly monitored Apache Tomcat items (listed in the table below). Other, user-defined sensors and performance counters can be added.